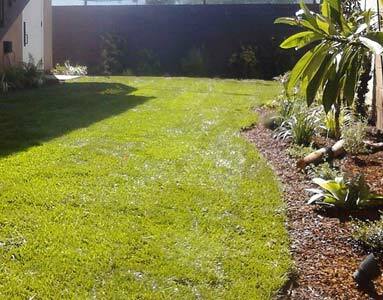 When you’re searching for a landscaper in Thousand Oaks, you want to find someone professional, experienced, and capable of taking on any landscape project you have in mind. There’s nothing more beautiful than a finished landscape project. It’s this passion that our team brings to work with them every day, and it’s exactly why you should choose Chuck’s Landscaping for all your landscaping needs. Don’t just take our word for it – read more from our satisfied customers as you learn about our landscaping services below. When you’ve heard enough, give us a call to schedule your first appointment today. If your home is your castle, your yard should be your oasis. 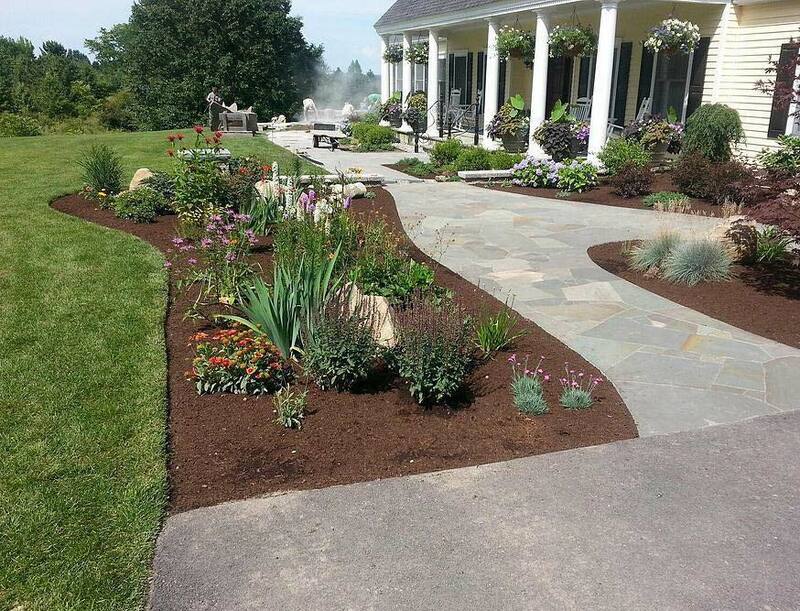 Whether your picture-perfect outdoor space is simple or complex, Chuck’s Landscaping can make it beautiful. We can work with whatever you already have in place or create a blank canvas that’s ready for a work of art. From decks and patios to ponds and waterfalls, we’re ready to get the job done. We love making dreams come true by giving you the perfect outdoor retreat. 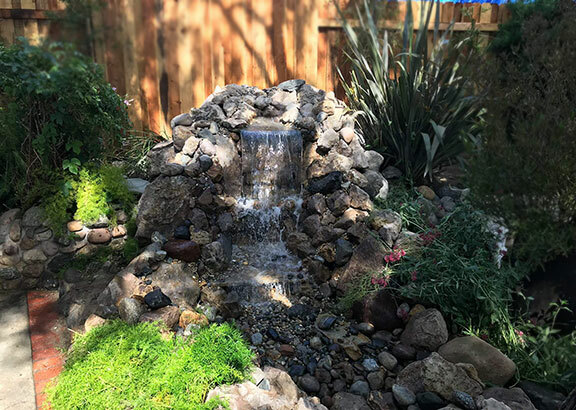 Two of our favorite things to add to a property are custom ponds and waterfalls in Thousand Oaks, Oxnard, Simi Valley, and beyond. There’s just something about the way a project come together to perfectly balance greenery, stones, and water in a way that’s so natural it looks like it was always there. 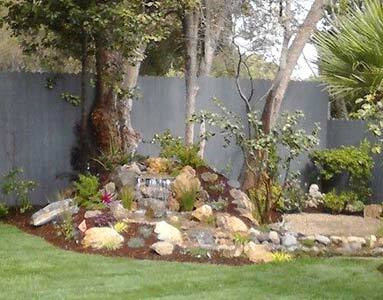 Our team of pond contractors is happy to put together a customized bid for your fish or koi pond. We install high-quality AquaScape ponds that can come with underwater lighting, waterfalls, bridges, streams, and just about any other detail you can think of. 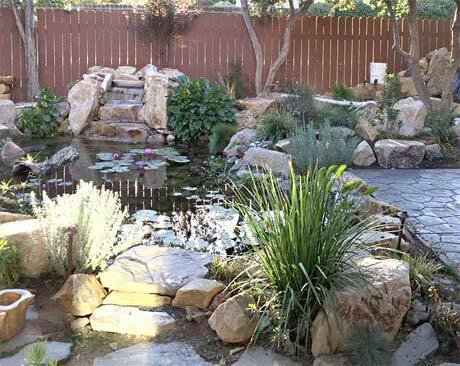 Call today and see why Thousand Oaks calls us for pond construction. Once it’s beautiful, you want to keep it that way, right? But trying to keep up with mulching, fertilizing, weeding, pruning, watering, and more can be a real hassle. Especially when you’re not sure the best way to take care of the greenery you have. We understand, and luckily, we have all of that information, so you don’t have to know how much water your new groundcover needs. In addition to helping you maintain your plants, we also can help with your grass, trees, and shrubbery year-round. You won’t have to worry about a thing when you schedule landscaping maintenance with Chuck’s Landscaping. We’re also around for larger, less-frequent jobs such as sod installation, yard cleanups, tree removal, sprinkler repair and installation, and more. The goal is to get your outdoor space looking great year-round without too much hassle and stress on your part. Just give us a call for a free consultation to see what landscaping maintenance services are right for you. We love working in the Thousand Oaks area because it’s such a beautiful place to be. We enjoy a variety of requests here, from a simple deck to full backyard re-designs. Some of our favorite projects have taken place in Thousand Oaks and we’ve met some regular clients here as well. For that reason, Thousand Oaks will always be near and dear to our team. We’ve been offering sprinkler repair in Thousand Oaks area for years now, installing new sprinkler systems and maintaining or upgrading existing systems all along the way. When it comes to sprinkler systems, we think it’s safe to say that our technicians can comfortably handle any sprinkler repair imaginable. We are fully licensed, bonded and insured, and we guarantee that every job gets done right. 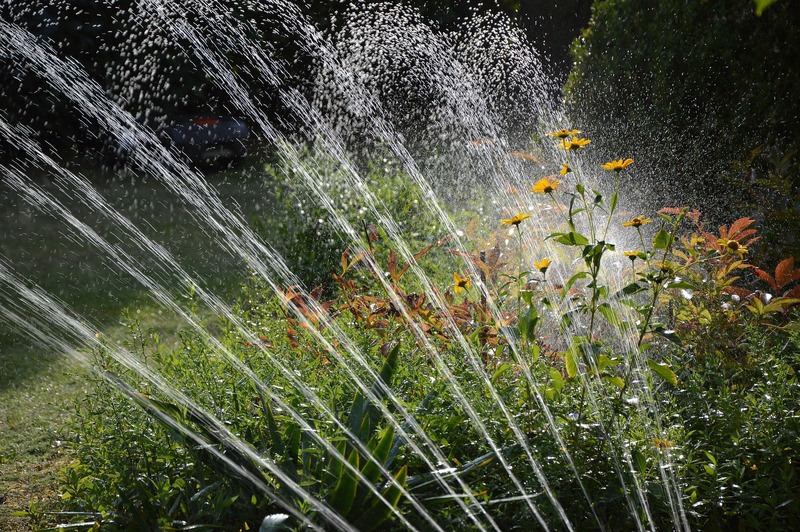 Additionally, we will direct you on how to operate your sprinkler controller, properly configure the settings, and ensure that your new system keeps your yard green while staying within the bounds of all local watering ordinances. Since we live and breathe landscaping, it only makes sense for us to share with you some of the popular gardens in Thousand Oaks. These are amazing places that make perfect outings, adventures, and more. You can even go to one of these gorgeous gardens for inspiration when you’re dreaming of your perfect yard. Not sure if we service your area but are interested in our landscaping services? Just give us a call and we’ll talk location. We’re happy to serve the greater Los Angeles area and more depending on availability. Call us today to learn more about our landscaping design, build, and maintenance services to get your yard and outdoor spaces looking great.